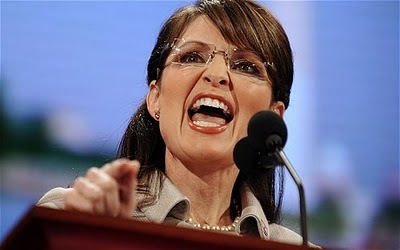 You better believe Sarah Palin has an axe to grind. Driven by the way the media has attempted to ravage her and her family since 2008, she is now striking back against the GOP establishment and their media acolytes as they coordinate attacks on our fellow conservative Newt Gingrich. Palin helped Newt win in South Carolina by asking voters there to choose Newt. She is now counter attacking those who want to "crucify" Newt and rewrite conservative history about Newt's closeness to Reagan as the primary arrives in Florida. The first conservative I ever heard about as a college kid was Newt Gingrich. He was conservatism! I wouldn't mess with the Mama Grizzly, she just might endorse Newt and make those Bob Dole, McCain, Huntsman, and Bolton endorsements for Romney look silly in an instant.